Only showing entries about carols from Destino Infinito. View entries about carols from all Travellerspoint blogs. 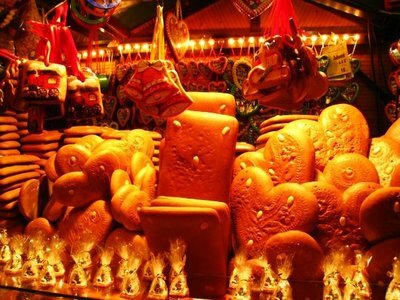 Frankfurt Christmas Market is an epitome of festive clichés, merry, bustling and with a perfect frosty chill. Although the city itself is primarily made up of modern, industrial buildings, historic Römerberg Square is turned into a quintessential Bavarian winter wonderland at the end of November each year. Infinite twinkling fairy lights illuminate the aisles and a sky scraping Christmas tree acts as a proud and magnificent centre piece. 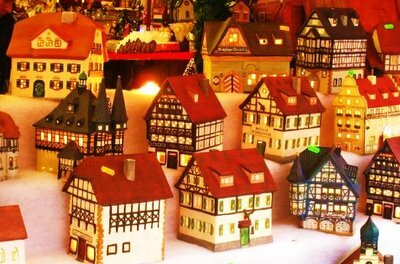 The quaint, wooden-framed buildings enclosing the square offer a backdrop straight out of a Grimm fairytale and provide the perfect setting for this festive spectacle. Traditional wooden booths, embellished by elegant red and green wreathes, offer a magical array of yuletide treats and are bursting with colours, sparkles and flavours galore. Handmade wooden toys delight and intrigue, whilst mini candle-lit cottages give displays a warm and inviting glow. Opulent baubles and enchanting decorations glint at passers-by, their varying shapes and sizes never failing to impress. Traditional German Christmas carols, many of them now famous world-over, are regularly performed, providing a perfect soundtrack for our wintertide get away. And meanwhile the old fashioned merry-go-round entertains children and adults alike, provoking smiles and giggles all-round. 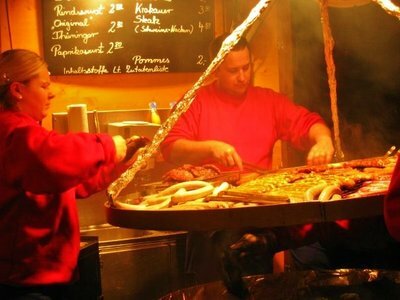 On a cold winter’s eve the deliciously sizzly wurst are perfect, comforting snacks, their rich scent whirling in the nose-numbing air, enticing us over for a nibble. And the sweet toothed visitors are far from disappointed either. Fantastical baked ginger goodies with their intricate designs pose for the festive food paparazzi, the glisteningly sticky pretzels and divine chocolate kebabs never far behind. 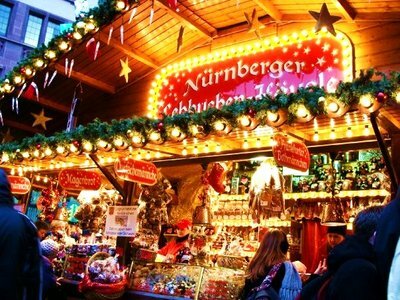 And perching at one of the market’s bars for an apfelwein or rich mulled wine is a truly evocative way of soaking up the festive atmosphere. 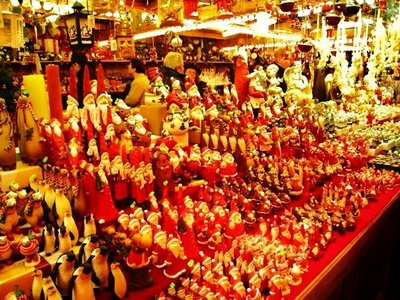 So for scenes and an ambience fit for a Christmas card, why not head to Frankfurt this year for a few days of festive fun! Fröhliche Weihnachten!